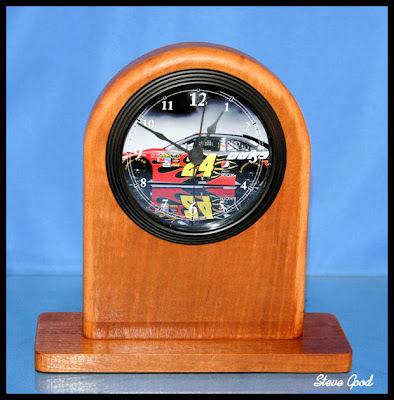 A reader sent me the idea for this clock. 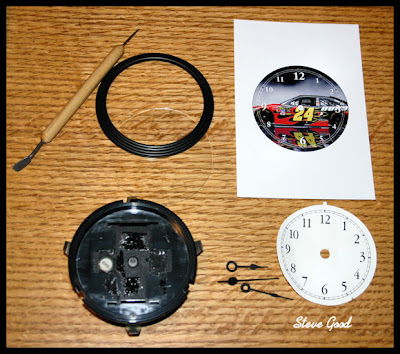 Turns out you can disassemble clock inserts and replace the paper dial with a custom one. That fits right in with what I have been working on for my custom paper dial project. All I had to do was re-size the the dial smaller and I was all set. I designed a very simple clock to hold the insert so the picture would be the star and not the wood body. 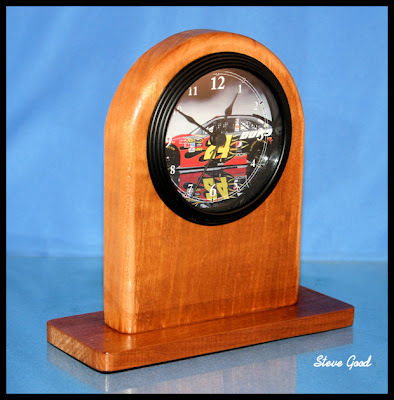 I used a 3 1/2" clock insert I had in the shop which happened to have a 3 inch paper dial. Apparently that is a common size for the paper dial but you might need to shop around. I think the clocks at this link will work. If someone could verify that for me I will pass on the info to everyone. I printed the custom dial on gloss photo paper and cut it out with scissors. You will need a 1/4" hole in the center. I used an Exacto knife for that. I just disassembled the clock and and glued the new dial in place. When I get my custom paper dial order form set up this size dial will be included so you will have the option of building this style clock. I'm still a few days away from having everything ready to take orders but I moving forward at least. Thanks to Michael Moreland for passing this tip on to me. He saw the project done on the Scroll Saw Woodworking and Crafts message board.